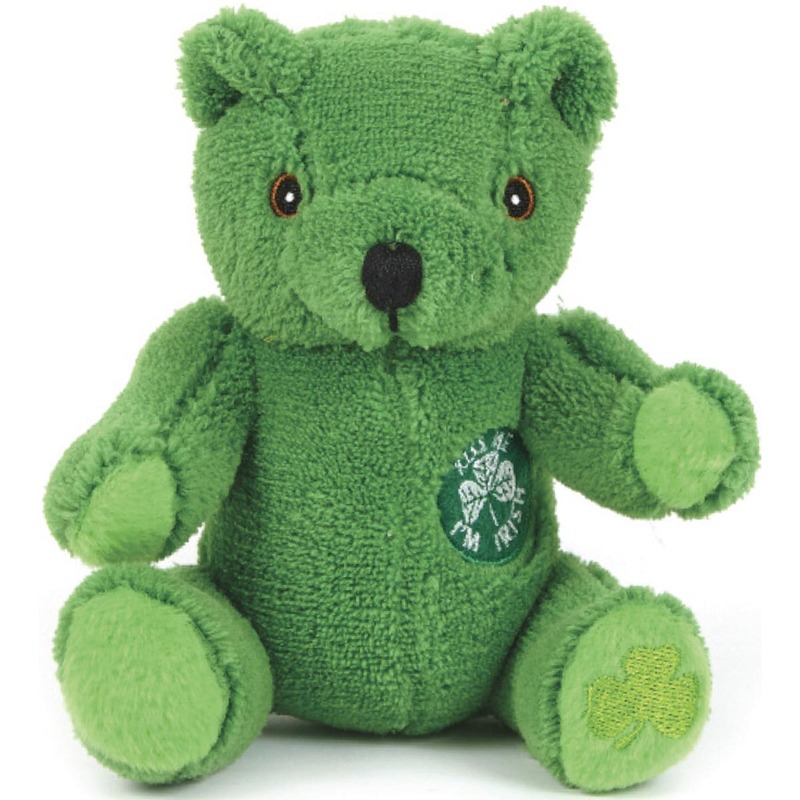 Extra soft, 7" St. Patrick's bear with shamrock plush toy animal. Now features embroidered eyes, may vary upon availability. Celebrate with this extra soft plush toy. Accessories priced separately. Stuffed Animal, plush toy, stuffed toy, custom. NO MINIMUM ! Stock items with logo over 300 to choose from no minimum. We specialize in Custom plush toys . We comply with safety regulations and we carry product liability insurance. We have our own design team that creates custom designs. Art Services: Artwork Change Fee, Paper Proof: 1-3 business days, Pre-production Proof: Without Rush, Virtual Proof: Virtual Proof, Other: Production Proof (Rush 1-3 days), Other: Custom Art Fees.